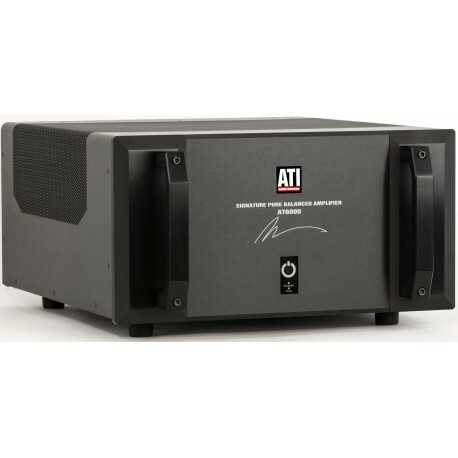 Amplifier Technologies, Inc., the prolific manufacturer of many of the high end’s best amplifiers today introduced a new series of amplifiers designed by their president and chief engineer, Morris Kessler. 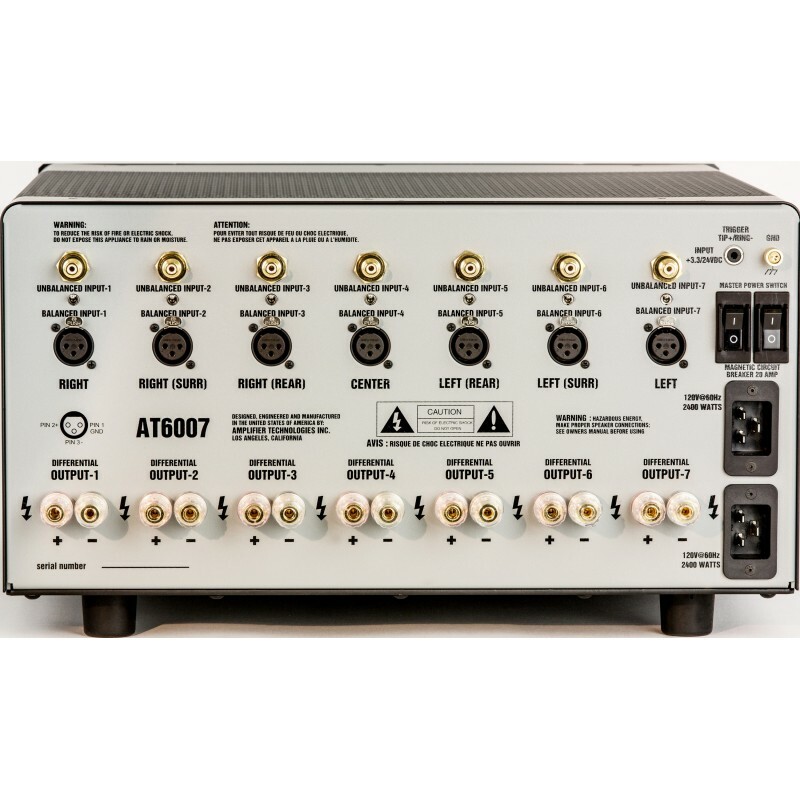 The 6000 series amplifiers, available with 2 to 7 channels, are the company’s first new amplifiers in over a decade. Furthermore, their “signature series” designation with a facsimile of Kessler’s signature on the main panel acknowledges the special nature of these designs. Beyond Kessler’s personal identification, these amplifiers are new in more significant ways. 1. As in Kessler’s previous top-of-the-line designs, these amplifiers are fully balanced, differential amps, but unlike his earlier balanced designs which were essentially balanced bridged amplifiers, the 6000 series uses only a single input stage with dual-differential output stages. The reason: the advantages of balanced designs are retained and noise is reduced by 50%. 2. The design uses current feedback instead of the more common voltage feedback. The reason: current feedback amplifiers are faster with virtually unlimited slew rate and are better able to reproduce today’s best music and film sound. 3. Kessler used Thermaltrak output devices for the 6000 series. Unlike traditional designs where external diodes or transistors attached to the heat sinks track the amplifiers operating conditions and use the details to adjust bias, Thermaltrak devices have the temperature sensing device in the same package as the output transistor. The results: bias is optimized in real-time. 4. The 6000 series use dual DC servos to track and maintain DC offset. The result: DC in the amplifier’s output is reduced to insignificant levels. 5. These amplifiers use a revised PCB layout. They are still modular with the complete amplifier including the power supply parts on a single card, but now the AC components are on one edge of the board and away from the signal input. The result: improved signal-to-noise performance. 6. All of the amplifiers in the series use dual toroidal transformers, dual power switches and dual line cords. The results: the AT6002 is now a complete dual-mono design and the amplifiers with many channels, as in the 7-channel AT6007, can be hooked-up to two independent 20 amp circuits for greater sustained output power than is possible from a single AC circuit. All the amplifiers in the 6000 series are rated at 300 Watts RMS from 20 Hz to 20 kHz with no more that 0.03% THD at 8 ohms with all channels driven and 450 Watts RMS at 4 ohms under the same conditions. 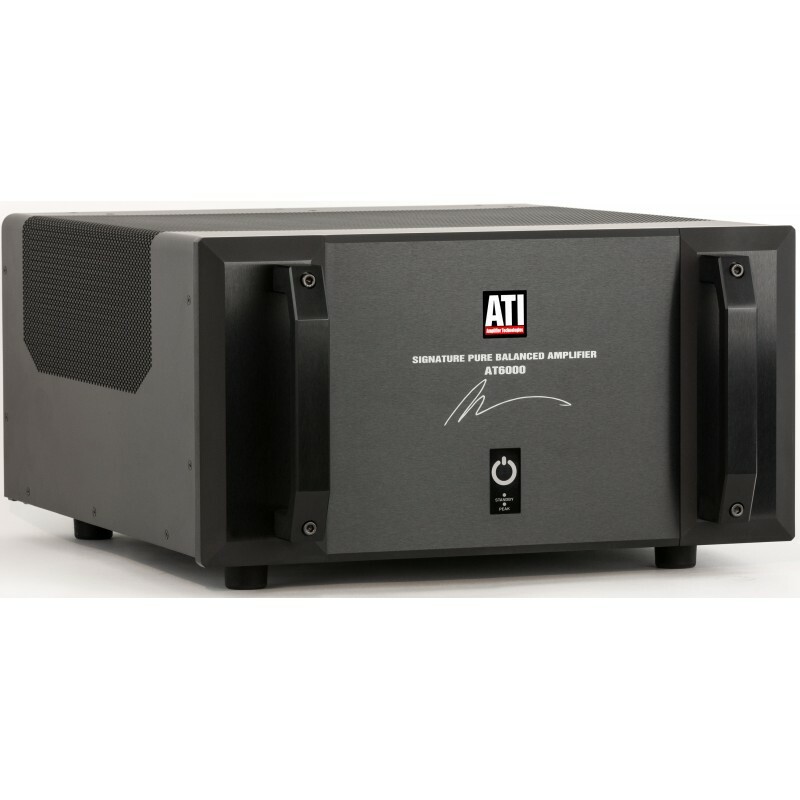 Signal-to-noise ratio is typically 128 dB referenced to full output so each amplifier in the series is capable of playing back the full dynamic range available on today’s lossless recordings.